“Many of the girls that were released were not dropped in one place." The Minister of Information and Culture, Lai Mohammed, has confirmed that 91 girls and a boy have so far been released by their abductors. Mohammed disclosed this to State House correspondents at the Presidential Villa, Abuja on Wednesday. He said, “As of now, I can confirm that 91 girls and one boy have been released. The event is developing. “Many of the girls that were released were not dropped in one place. 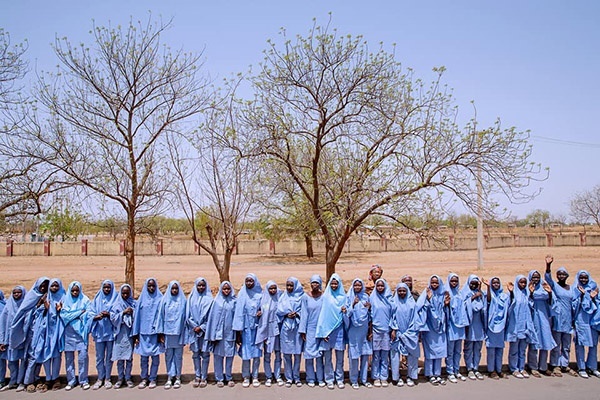 On February 19, 2018, at about 5:30pm, the 110 schoolgirls aged between 11 and 19 years old were kidnapped by the Boko Haram terrorist group from the school in Dapchi, Yobe State, North-east Nigeria. The Presidency on Wednesday confirmed the release of the girls. The Senior Special Assistant to the President on Media and Publicity, Garba Shehu, confirmed this in Abuja.